Size isn't everything, and this small sushi bar – which is really little more impressive to look at than a roadside oden stand – is always packed for a reason. 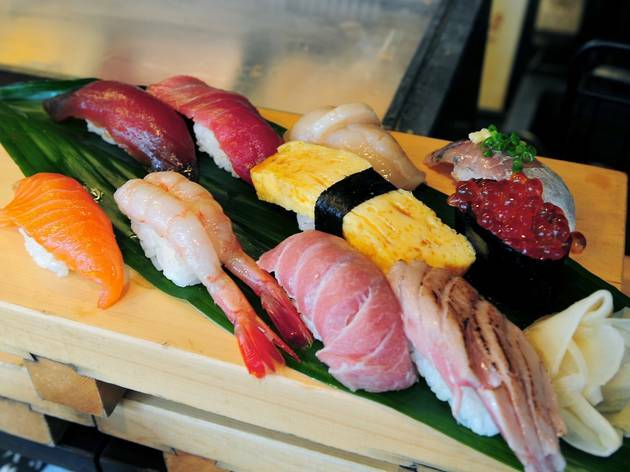 Although the nigiri are fairly inexpensive (¥100 to ¥400), you'll get more for your money if you order a set. 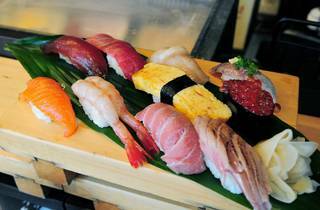 Around ¥1,500 will buy you a decent selection of fresh sushi, including scallops, horse mackerel, omelette, salmon roe, shrimp and more. Find it near Lawson at the Tsukiji Yon-chome crossing.